In this Tutorial we will show you how to root your Lenovo A3500 with the framaroot 1-Click-Root Tool coming from alephzain. 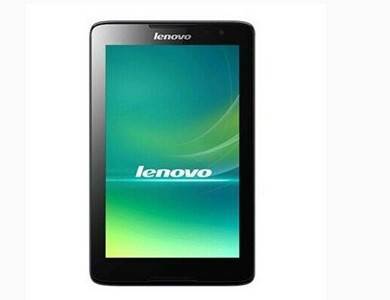 Thanks to framaroot you will only need a few minutes to root your Lenovo A3500. Framaroot is very special due to its ability to root your device without the use of a computer. 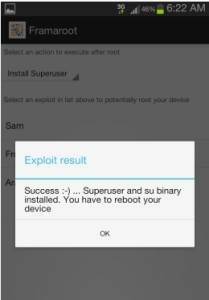 Moreover, 90% of the Android device rooting is successful with Framaroot. By rooting an Android device, you can enjoy unlimited customization of your device. All you need to know about Framaroot will be here. So, cope with this where you’ll be able to root your Android device without any barrier with Framaroot. As mentioned earlier, the process of rooting an Android device with Framaroot is simple and straightforward. Here is an outline of the steps that need to be followed when rooting the device. 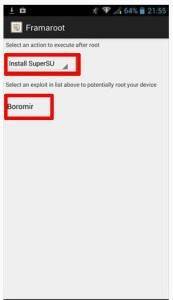 Any person who wants to root the Android device will only need to go through the following steps. Download the latest version of Framaroot and install the APK (To install the APK you will need to acceppt unkown sources for APKs.. This can be done through „Unknown Sources“ under Menu -> Settings -> Applications). Thereafter, in the rooting menu, Select an exploit in list above to potentially root your device as BARAHIR and proceed further. The rooting has now started and you will be getting an awesome success message. Now you know how to root the Lenovo A3500. The rooting process for all Lenovo devices is more or less the same these days. All you need to be careful about is the model number of your device and make sure the files you download are for your smartphone model.